It isn’t easy photographing dogs but over our 15 years of studio experience, we have developed a method that guarantees stunning results every time! 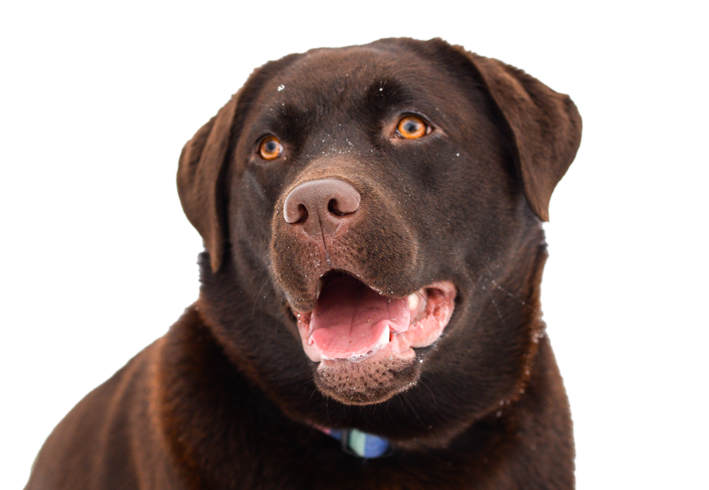 Our team are extensively trained to work with dogs in a studio environment and understand how different each and every dog is. That is why we aim to capture your dog’s unique personality. Cheeky? Adorable? Lounger? Or energetic? 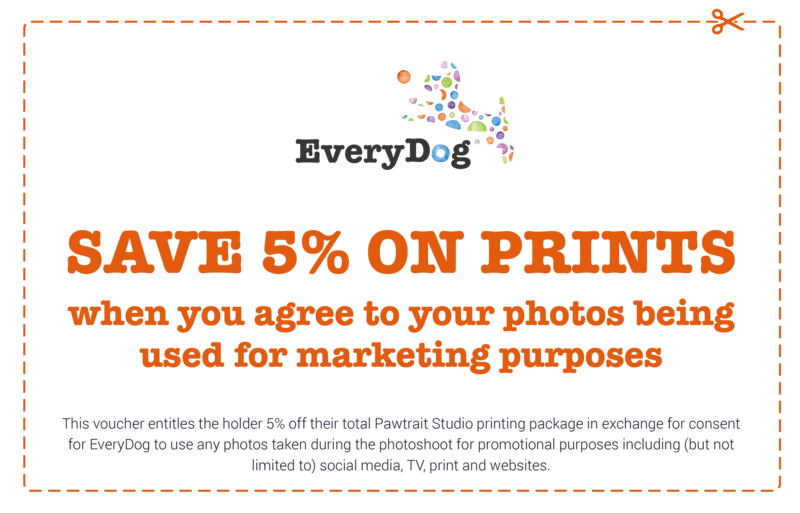 Tell us a little about your pooch and we will decide on a theme for the photoshoot. Our Pawtrait shoots are all about having fun and capturing that unique character in your dog, so why not bring along some of their favourite toys or encourage them to show off their special tricks! We will take a wide range of photos during the session, and in a couple of days we will ask you along to view the best images in your own slideshow. Once you have selected your favourite shots your photographer will take you through all of the wonderful and amazing options of how to best display them in your home. Whether you want clean and modern frames or a large canvas – whatever your tastes, we will help you get that WOW factor! 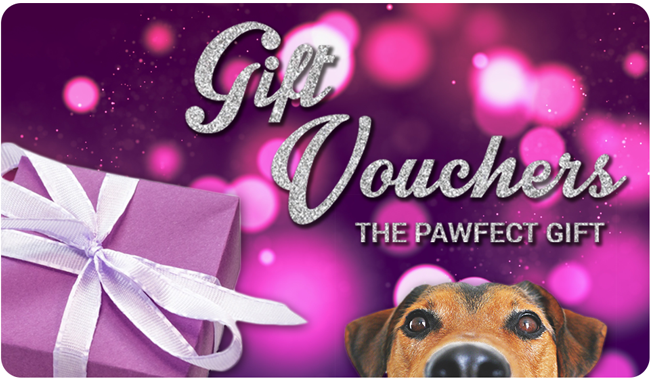 You can build your own print package with your Pawtrait Shots starting at just £34.95 for 30 minutes. Add as many or as few prints, frames, canvases and optional extras thereafter as you like. You can even take all your photos away with you on a CD for just £50. It’s Time to Fluff your Tails and Comb your Coats! 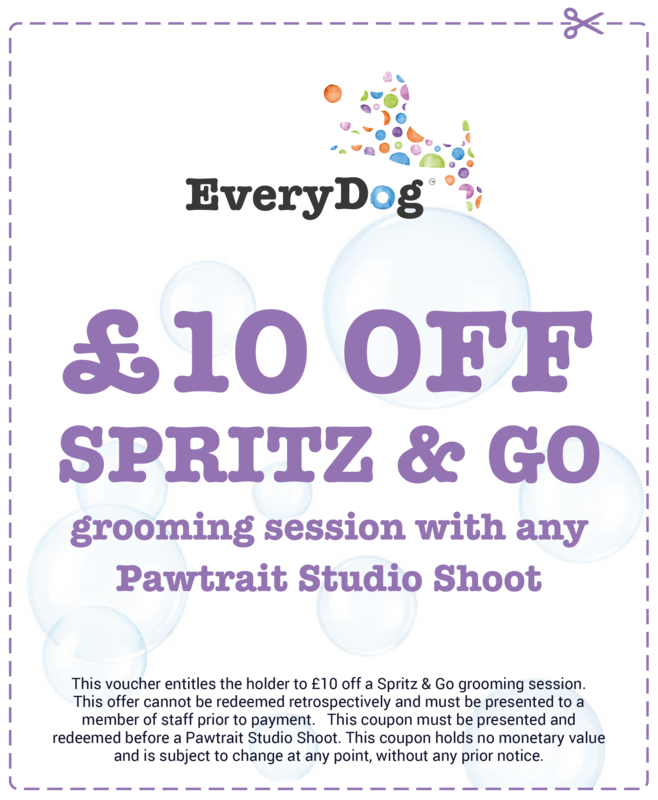 Of course you want your pooch to look their best for their Photoshoot, so why not bring them along for a visit to our Grooming Spa before? If you do, we’ll give you an extra £10 OFF our Spritz & Go service. Simply click on the coupon below and present the PDF (printed or digitally) to a member of staff when you book your studio shoot.